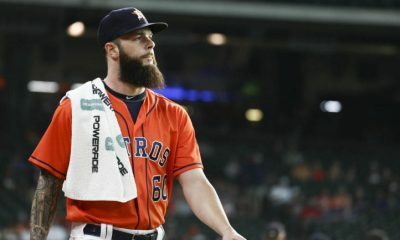 In the wake of all the moves the Indians have made this offseason, trading away familiar names and losing even more via free agency, let’s take a look at some unfamiliar names we could see play a factor in the 2019 season. 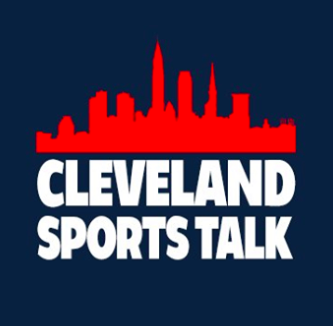 As hard as it is to come to terms with, guys like Yan Gomes, Lonnie Chisenhall and Michael Brantley are no longer directly relevant to this organization. So, in an effort to move on from the past, let’s observe some players who could definitely be part of the Indians’ future for years to come. 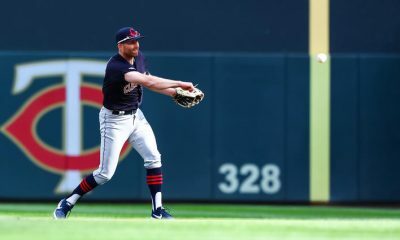 The Tribe’s infield is probably the one area of the team that will appear fairly similar in 2019 to the infield configurements of the past. Jason Kipnis, Francisco Lindor and Jose Ramirez all started at second base, shortstop and third base, respectively, for the Indians last year and they’re all expected to come back in the same capacities this season. Some fans felt as though Jason Kipnis should have been moved last offseason or this offseason, in order to get more efficiency from the second base position. Past MVP-candidate Jose Ramirez, a natural second baseman, would likely fill the hole at second base were Kipnis to depart the team. However, as of the writing of this article, Kipnis is still a member of the team, and we will treat him as such, meaning, unless Kipnis goes back to the outfield or to the bench, Ramirez will be at third again in 2019. The one change to the projected starting infield for the Tribe this year comes at first base. Last season, Yonder Alonso played the bulk of the games at first, with Edwin Encarnacion also finding himself at the position for 23 games. But Encarnacion was traded to Seattle for Carlos Santana and Yonder Alonso was shipped out to the White Sox soon thereafter. With the acquisition of Santana, who primarily played first base for most of his eight-year tenure with Cleveland from 2010-2017 before signing a new contract with the Phillies in 2018, Yonder Alonso was no longer needed. He was brought in by the Indians to replace Santana after he left for Philadelphia. With Santana back, Alonso didn’t really have a place on the team anymore. 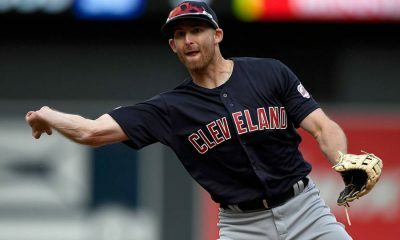 Then again, he could have stuck around in a designated hitter role and replaced Edwin Encarnacion at that position, but as the Tribe Front Office seeks to slash payroll and save money, Chris Antonetti and his staff probably felt they could find a player with similar value to Alonso to DH this season for a smaller cost. So that’s the tentative starting infield for the 2019 Cleveland Indians: Santana at first, Kipnis at second, Lindor at short and Ramirez at third. Of those four, the guy seemingly in the least amount of danger of having his spot taken would be Lindor. After all, Lindor, only 25, already has three All-Star selections, two Silver Slugger Awards, a Gold Glove and a Platinum Glove (the fan-voted award for the best of that year’s Gold Glove winners). Heading into his fourth full season in the big leagues, Lindor is as sure of a bet to play shortstop for the Indians next season as there could possibly be.. While the Indians do have a bona-fide All-Star poised to man that position for years to come, there are two other players on the 40-man roster who also play shortstop. Max Moroff has spent parts of the last three seasons with the Pittsburgh Pirates, where he platooned within the infield, gracing second base, shortstop and third base. He’s a bit of a utility man, akin to the likes of a Ben Zobrist or Mike Aviles, the latter of whom being a favorite of Terry Francona during his first three years in Cleveland. Like Lindor, Moroff is also 25, although he’s played in far less major league games than Lindor. The Indians got hold of him back in November from Pittsburgh, along with Jordan Luplow (who we’ll talk about later), for two minor leaguers and Erik Gonzalez. With only a little more than 200 career MLB plate appearances, Moroff, by no means, is expected to crack the everyday starting lineup in Cleveland. But if he impresses Francona in spring training, there’s a definite chance that we could see Max Moroff on the big league club this year, filling in at various infield positions when the regulars have days off or are injured. The other player listed on the Indians’ website as a shortstop is a player named Yu Chang. Chang’s situation with Cleveland is a little different than Moroff’s. Unlike Moroff, Chang has been with the Indians organization since signing with the ballclub in 2014 at age 18 out of Taiwan. 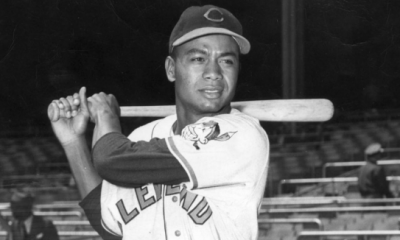 Although Chang’s never played in the Majors before, he’s consistently risen through the Indians’ minor league ranks every year since he arrived in America. Last year, he played in 127 games at Triple-A Columbus, where he had 171 hits and 62 RBI for the Clippers. This guy is due to crack the majors at some point in 2019, but if the Indians don’t have room for him on the big league roster, it wouldn’t surprise me if he’s packaged in a deal at the deadline for a big bat and shipped to another organization. Whether it’s with Cleveland or somebody else, expect to see Yu Chang in the major leagues this year. Yu Chang looks out at the field of play! Francisco Lindor won’t be the only Tribe middle infielder feeling pressure from the minor league ranks this year. Jason Kipnis has been rumored to be on the trading block for over a year, which makes it a bit surprising that, amidst all of the moves the Indians have made in recent weeks, he’s still on the team. Nonetheless, if Cleveland does trade the veteran away sooner or later, there are a couple of different options for the team to consider. One of those options would be to put Jose Ramirez back at second once Kipnis leaves. But the flaw with that plan is that then there wouldn’t be an everyday third baseman within the system ready to take over at Ramirez’s former position. In my mind, a potentially better path forward in the event of a Jason Kipnis trade would be to leave Jose Ramirez at third and instead promote Eric Stamets from Triple-A. Stamets has been an infielder in the Indians organization ever since Cleveland got him from the Angels in 2015, and he’s played at Columbus for parts of the 2016, 2017 and 2018 campaigns (he didn’t play anywhere else in 2018). Listed as a second baseman, he’s another guy like Moroff who can play all around the infield and would probably find a soft spot in Terry Francona’s heart. Were the big league club to have a hole at second base, I’d consider plugging either Stamets or Moroff into that slot and trying them out at the major league level. All of this hinges upon Jason Kipnis being traded, though, so until then, it’s nothing more than a hypothetical scenario. Even so, I think Stamets is good enough to warrant at least a September call-up and a taste of the majors in 2019. Now that Carlos Santana is back in Cleveland, there isn’t necessarily a need at the first base position. But Yonder Alonso and Edwin Encarnacion are now gone and Carlos Santana can’t replace them both. A good idea would be to insert Carlos Santana into the designated hitter role and use a younger player at first. One name for the Indians to mull over promoting is Bobby Bradley. 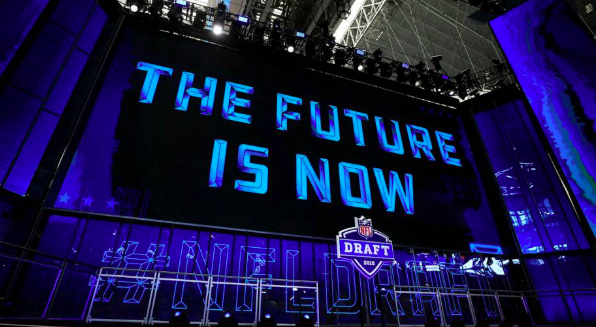 Bradley is a 6’1,” 225-pound left-handed bat Cleveland selected in the third round of the 2014 MLB Draft out of Harrison Central High School in Gulfport, Mississippi. He’ll only turn 23 next season and he has the potential to provide the kind of power numbers from the left-handed side of the batter’s box that the Tribe needs for the next decade. After starting off 2018 at Columbus, he got demoted to Double-A Akron after only 32 games. He had a .254 batting average, which isn’t terrible from the first base position. But apparently, the Indians felt he wasn’t ready yet and he spent the bulk of the season in the Eastern League. In Akron, Bradley’s home run total went up, from three in Columbus to 24 for the Rubberducks, but his average dropped by 40 points, down to .214. Obviously, Bradley hasn’t shown that he’s quite yet ready for the major leagues. However, if he registers a good spring training performance and starts the season off hot, whether at Akron or Columbus, he could find his way to Progressive Field by the end of the year. Keep an eye on Bobby Bradley. In terms of the outfield, as of right now, there aren’t as many players at the Indians’ disposal as there are in the infield. One guy who must be mentioned is Jake Bauers, a recent return in the Yandy Diaz deal with Tampa Bay. Bauers made his major league debut for the Rays last season and in 96 games, he played first base (76 games), left field (16 games), right field (four games) and DH (six games). Since Bauers was at first by far the most out of any position in 2018, I could have easily listed him under the “Infield” category. And if I had done that, it would have made sense. If Santana became the DH, Bauers would likely be a better option at first base than Bobby Bradley. Bauers already has big league time under his belt and he’s more versatile than Bradley. But with that versatility comes more flexibility as to what the Indians can do with him. In a vacuum, Bauers may very well be a better major league first baseman than a major league outfielder. But for the Tribe’s purposes, he just might be a better fit on the club in the outfield. Think about who Cleveland has on the roster to play the outfield. With Michael Brantley gone, Lonnie Chisenhall gone and Jason Kipnis projected to play at second base, who do the Indians have? The four guys left who played outfield on the team last year are Greg Allen, Bradley Zimmer, Tyler Naquin and Leonys Martin. I like Greg Allen in center field, but of the other three guys, who impresses you? Zimmer has been injured in 2017 and 2018 and Martin, unfortunately, missed the last part of 2018 due to a bacterial infection that threatened his life. Thankfully, he’s doing better now, but even before coming down with the illness, was Martin ever a Hall-of-Fame-caliber outfielder? The Indians certainly see him in a more favorable light than Naquin, who’s underwhelmed recently, but would he be better served coming off the bench? Jake Bauers is young and new to the majors and in order for a young ballplayer to become acclimated to the bigs, he’s got to receive consistent playing time. It’s an old philosophy, but it still holds true. The Indians need to make Bauers a starter this year. If they don’t see him in that kind of role on the big league club though, it would be better to just send him down to Triple-A. It won’t be the majors, but for a developing talent like Bauers, the number one priority is experience and at-bats. Jordan Luplow came over from Pittsburgh along with Max Moroff and he’s another outfielder who could see playing time in 2019. Perhaps the Indians would be wise to go with Bauers in the outfield before Luplow, just because Bauers seems to be on a career trajectory that could turn out slightly more successfully than Luplow’s. Still, Luplow played for the Pirates’ big league club in both 2017 and 2018, playing the corner outfield positions at PNC Park. Luplow, who sports a lifetime MLB batting average below .200, will have to adapt to the power-hitting American League if he wants any chance at a permanent spot. He’s not a bad baseball player by any means, though, and the Indians are definitely in a superior position with him as opposed to without him. Although he hasn’t yet made his major league debut, outfield prospect Oscar Mercado lays claim to a distinction few others within the Indians organization can: experience playing in two different Triple-A leagues. Last year, the St. Louis Cardinals had Mercado playing for the Triple-A Memphis Redbirds of the Pacific Coast League, a league with a longstanding reputation of possessing quality baseball competition. In 100 games with the Redbirds, Mercado hit 21 doubles and walked 36 times. He was traded to Cleveland at the deadline and soon thereafter made his first International League start with the Columbus Clippers. Depending on where the Tribe is in the standings, what the injury status of the big league outfielders is and how Mercado is coming along in his development, we could very well see Mercado in an Indians uniform by season’s end this year. Much to my dismay, there is only one player to list under the “Catcher” category on this list. You might not remember, but Eric Haase played in nine games for the Indians last year, his first in the majors. His statistics weren’t overly impressive or mind-blowing; in fact, he only got two hits in those nine games. The reason Haase is so important though–quite possibly the most important person listed in this article–is that he is only one of two catchers on the Indians roster. That’s right, you read that correctly. After trading Yan Gomes, the Indians now have Roberto Perez, Eric Haase and that’s it. This is particularly unsettling, given the nature of Perez’s role on the Indians in the past. He’s never been an everyday catcher, always Gomes’ backup who started on his off days. Logically, Cleveland would be remiss to not test the free agent catcher waters this offseason. Then again, maybe the Tribe knew what it was doing when it let go of Yan Gomes. Maybe the reason the team was willing to part ways with the former All-Star is because it has so much confidence in Haase. In any event, Haase has been all over this country playing baseball, making pit stops with a total of eight professional clubs within the United States along with, in the winter of 2017-2018, Leones del Escogido of the Dominican Winter Baseball League. 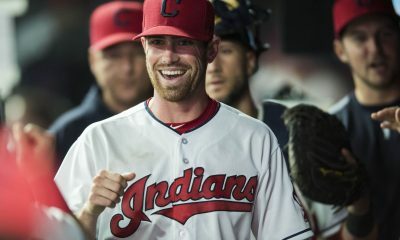 Haase has been battling in the minor leagues ever since the Indians took him in the seventh round of the 2011 draft. If ever there were a guy deserving of a chance in the bigs, it’s Haase. Besides, with the catching position currently in such a depleted state, the Indians don’t have much of a choice. 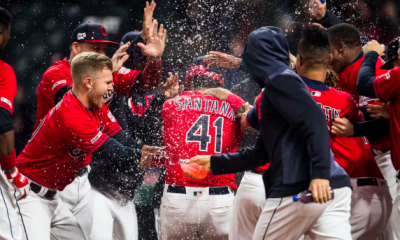 The Indians are going to have a somewhat different look to the pitching staff in 2019 than in years past. As of now, the starting rotation is mostly set, with Corey Kluber, Carlos Carrasco, Trevor Bauer, Mike Clevinger and Shane Bieber all scheduled to reclaim their roles within the rotation. However, Kluber, Bauer and Bieber’s names have all been linked to trade talks, so as we write their names into our projections, let’s avoid using pen. Also pertaining to the starting rotation are the questions surrounding Cody Anderson and Danny Salazar. After both missing the entire season last year due to injury (Anderson missed all of 2017 and 2018 thanks to elbow surgery), will either of these two be able to nudge himself into the rotation? The bullpen is also an area of concern for the Tribe. Adam Cimber will be back in 2019, as will Brad Hand, Nick Goody, Tyler Olsen, Dan Otero, Adam Plutko and Neil Ramirez. But will that be enough? Lefty Andrew Miller, the horse Tito Francona always leaned on and a vital cog in the machine that sent the Indians to the World Series in 2016, signed with St. Louis this week. Longtime closer Cody Allen is also expected to find a new home this offseason. Still, other pitchers from the 2018 team like Oliver Perez and Josh Tomlin are unlikely to return this year. As you can see, the Indians will have some guys returning to pitch in 2019. But will the team be able to get the same kind of effort from the rotation and the pen, even with crucial pieces from the staff gone? Several prospects within the organization are anxious to land a spot on the big league roster and attempt to replace the value of those who’ve departed. One player, Chih-Wei Hu, is better prepared than anyone else to harness an opportunity to pitch in the later innings with the club. Coming over from Tampa Bay last month, Hu has already made regular season appearances with the Rays in 2017 and 2018. Hu hasn’t started in the majors, only coming out of the bullpen in his brief MLB career. 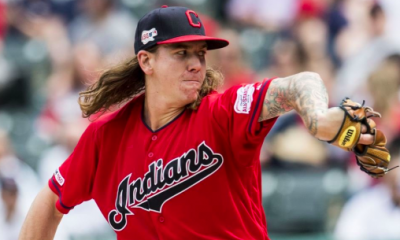 He’s been bouncing back and forth between Triple-A Durham and Tampa Bay over the past couple of years and the Indians are most likely going to treat him the same way to start out. But eventually, look to see Chih-Wei Hu as a staple in the bullpen of a big league team, preferably Cleveland. Pay close attention to a player named Jefry Rodriguez. Rodriguez is another name that came back in the Yan Gomes deal with the Nationals, and he should get you pumped to be an Indians fan. Standing at 6’6 and weighing 232 pounds, Rodriguez could feasibly make a run at a starting job for the Tribe in 2019. He started eight games for Washington last year and in a total of 14 appearances, went 3-3 with 39 strikeouts. No, the ERA and walk totals weren’t good (5.71 and 37, respectively), but this guy is just brimming with star power. A power pitcher, his average fastball velocity clocked in at over 95 miles-per-hour in 2018. His mlb.com scouting report lists that he throws a curveball and changeup as well, complementing that hard four-seam cheese. The problem, though, is the 80-game suspension he received in 2017 for testing positive for PEDs. As long as the Indians can keep Rodriguez clean, they may have just found their next All-Star pitcher. J Rod looks to stay clean this year! Sure, the Indians have been pulled off a few major deals, but it’s the under-the-radar ones that can sometimes be the most beneficial. In November, Cleveland traded away an 18-year-old player from their farm system, Ignacio Feliz, who’d most recently played in the Arizona Rookie League. Shipping him to San Diego, the Padres sent back 24-year-old pitcher Walker Lockett. At 6’5, 225 pounds, Lockett is another big, strong arm on the cusp of sticking in the majors. He pitched in four games for the Padres last year, but in the minors in 2018, Lockett made 23 starts for the Triple-A El Paso Chihuahuas. The 4.73 ERA is nothing to write home about and neither is the nine hit batsmen. But his strikeout total came in at 118, which could work in the American League, where batters often take the “all or nothing” approach and end up piling up strikeouts. Lockett isn’t yet a player who’s made a lasting impression on Major League Baseball, but sooner rather than later, his name will be heard around the league more and more often. While it’s hard to see veteran players leave for rival franchises, the silver lining to this flurry of offseason activity is that in return for all of those trades, the Indians have been reinvigorated with young prospects. Most of the players we’ve analyzed today have been recent acquisitions from places like Washington or Tampa Bay, teams to which the Tribe has sent true-blue big leaguers. 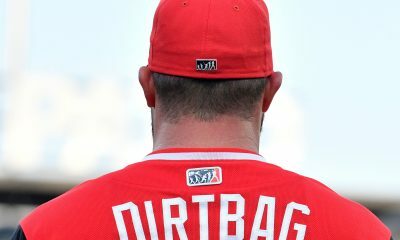 When fans read a headline that says their favorite ballclub dealt away starters on the major league squad for a bunch of minor leaguers, they tend to be disheartened by the news. 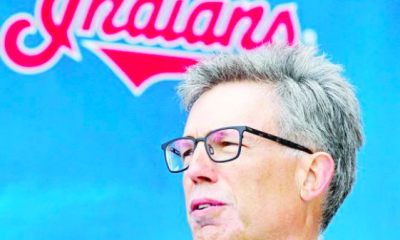 But when it comes to the moves the Indians have made this winter, in many cases, the players coming in return are guys right on the cusp of the MLB. Some, like Max Moroff, Jake Bauers and Jefry Rodriguez, already have big league service time, and are ready to put in more. Rest easily, Cleveland fanatics. Much of the old guard may now be gone, but despite its unfamiliarity, give the new guard its due. From players like Eric Haase, who’ve been a part of the organization their entire careers, to someone like Chih-Wei Hu, who’s preparing to begin a new chapter of his baseball life along the shores of Lake Erie, the future is bright. No matter how ugly it appeared initially, Chris Antonetti and his crew know what they’re doing. So when you’re watching SportsTime Ohio this year and see a name you don’t recognize come into the game, give him a chance. Don’t write him off just yet, because once you do that, you might as well write off the entire 2019 Indians season. And what fun would that be?